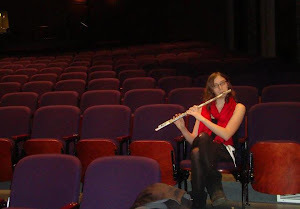 Chronicles of a Wandering Musician: What an EPIK Opportunity! It’s official: by this time next month I will be living in Busan, South Korea, teaching English to a bunch of Korean students, and having the time of my life! This is such an amazing opportunity and I am very excited to be taking this step forward. In a world that is so closely connected thanks to the Internet and other technologies, it is extremely important that we take the time to really understand and appreciate other cultures and ways of life. This year abroad in Korea is going to help me do just that. I hope to gain a new understanding of different educational systems and learning styles while simultaneously immersing myself if a completely foreign way of life. I am excited about the students, the culture, and the location. I can’t wait to meet other teachers like myself, make new friends, and grow as a person. I am thrilled to be able to see new sites, live on the ocean, and to eat a wildly different type of food for a year. At the same time I am nervous: I have never been so far away from my family, I have never taught English as a second language in such an in depth and important way. I am worried that I will struggle with the new alphabet, language, and way of life. But if we never step out of our comfort zone we will never grow! So I will take these fears and trepidations and use the energy they develop for good: I will prepare as best I can, spend as much time with my family and friends as possible, and be ready to leap into the unknown!